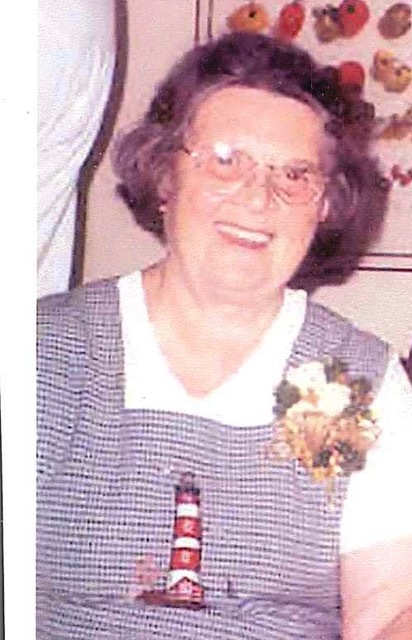 Mary Ellen Louise Borland, passed away Monday, January 14, 2019, in her eighty-seventh year. She had family at her side as she moved into life’s next stage. Our Mom was born July 25, 1931 in Warren, PA., to the late John and Velma Schrader Riche. She was raised with her brother, John, on Russell Street. She graduated from Warren High School in 1949 and then Huff Business School. She worked at the former Struthers Wells Corporation and the Warren State Hospital until she married her husband, Isaac. They had seven children – Isaac (Susan), Sam (Chris, Vivian Sanford (Paul), Valerie (deceased in 1959), John (Rebecca), Richard (Sandy), and Lottie Wood (Joe). She raised the six of us through the fifties, sixties and seventies on the family hobby farm with many animals and large gardens. She was very active as a 4-H leader during this time. During the eighties and nineties, she helped raise seventeen grandchildren and who have now given her sixteen great grandchildren to love. Others also call her Grandma and they came to our family through love and caring, if not by blood. After Dad’s retirement she went back to work for Allegheny Floral for a few years. She and Dad traveled through much of the United States for twenty years in a series of Chrysler minivans to visit family, friends, and see sites of interest around the country. She had a great love of horses and dogs. All of us and our children were given riding lessons and shovels. She will be mourned by her Old English Sheepdog, Oscar. One year ago this month, she lost our father after sixty-four years of marriage. She is also survived by her brother, John Riche and sister-in-law, Ingrid, a very good friend and ex-sister-in-law, Jean Riche. Two cousins and several nieces and nephews also survive her. She will be remembered always by this large family. We want to send a special thank you to those who cared for her during her final weeks at the Rouse Warren County Home and the John and Orpha Blair Hospice Home. Sending our prayers and deepest condolences to all the family. We will miss Aunt Mary very much. Viv, sending my condolences to you from Colorado. I know the sadness of losing parents. Praying for peace for you and your family. You are so fortunate to have had Mary Ellen for your Mom. She is easily one of the finest human beings whom I have ever met. She was everybody’s Grandma.